DAMIAN has broad range of experience, acting for both Plaintiffs and Defendants in the District, Circuit, and High Courts in personal, commercial, and general litigation cases. Such cases include banking/mortgage litigation, landlord and tenant and property-related litigation, trademark disputes, consumer protection/product liability claims, insurance indemnity claims, and claims under the equality legislation. He has particular expertise in personal injury claims acting for both the plaintiff and the defendant at different times. He is also member of our Employment Law Group and has brought and defended claims before the Circuit and High Courts, Employment Appeals Tribunal, Labour Court, Labour Relations Commission, and Equality Tribunal. 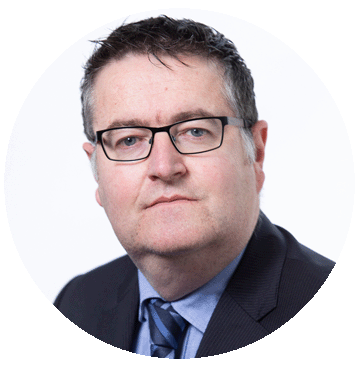 He has provided general advice to both corporate and private clients on a range of employment/labour law issues including the impact of the Transfer of Undertakings legislation, trade unions and industrial disputes, limitation of liability, and has drafted and advised on numerous service contracts and related procedures. Damian has acted for a number of lending institutions in the area of secured and unsecured debt recovery in the Circuit, High and Supreme Courts. This work has included securing judgments, safeguarding assets, and the enforcement of judgements. This has involved summary and plenary proceedings, proceedings seeking Orders for Possession, Well Charging Orders and Orders for Sale, Court Sales through the Examiners Office of the High Court and Bankruptcy Proceedings.